Awareness - The Key to Living in Balance, by Osho, is the very first book of this great mystic that I have read. For a less-than-200-page read, this book contains a wealth of life-changing philosophy, though it is impossible to read it in one go. I finished all the four books in the Egyptian series by Wilbur Smith in about half the time it took me to finish this one book! And not because of lack of interest, but because of the depth of the content presented in the book! It is difficult to read more than a few pages at a time. Underlying all meditation techniques, including martial arts-and in fact underlying all great athletic performances-is a quality of being awake and present to the moment, a quality that Osho calls awareness. Once we can identify and understand what this quality of awareness is, we have the key to self-mastery in virtually every area of our lives. According to great masters like Lao Tzu or Buddha, most of us move through our lives like sleepwalkers. Never really present in what we are doing, never fully alert to our environment, and not even aware of what motivates us to do and say the things we do. 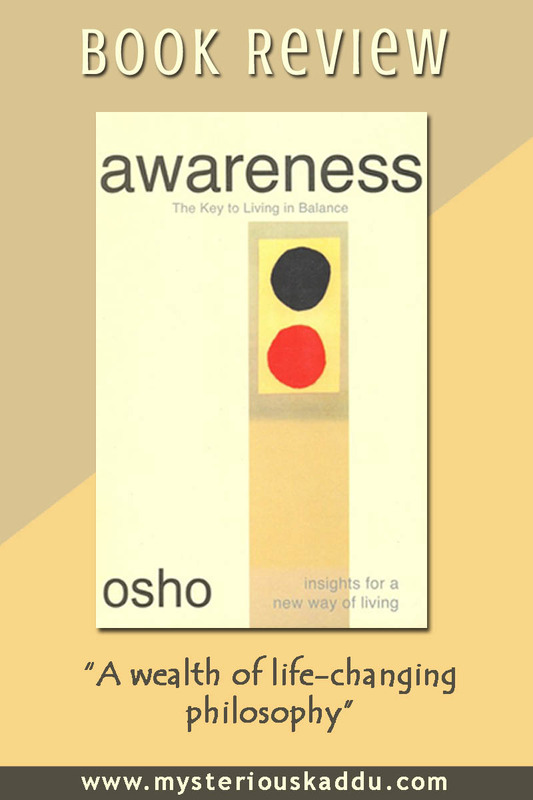 In Awareness - The Key to Living in Balance, Osho uses incidents from everyday life, anecdotes from Mulla Nassruddin, examples from Buddhist teachings, quotes from Enlightened Masters and findings of famous philosophers, to challenge readers to review their pre-conditioned belief systems and break free from them. He teaches the essence of meditation and living in the present moment. He shows how, with practice, we can avoid being entrapped in the vicious circle of our thoughts. He explains the techniques for relaxing our mind and body, and letting go of all tensions. He points out the difference between religion and spirituality, between character and consciousness, and between a man of quality and a man of awareness. 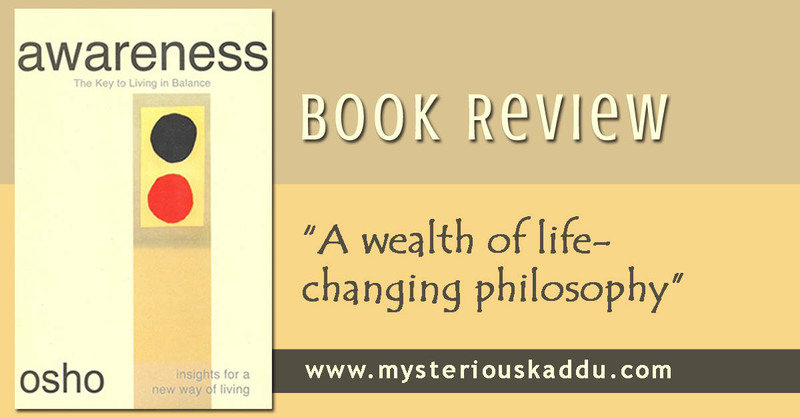 This book is written in Osho's characteristic style -- full of wisdom and understanding, insightful and challenging, humorous and down-to-earth, yet, at times, exasperatingly all-knowing and condescending (especially when he talks about the Western world). The book tends to get a bit repetitive at some places, especially in the first half, but that may be deliberate to make sure the concepts sink in. Besides, you'll be flipping back through the pages anyway, re-reading certain paragraphs. My rating: 4.5 out of 5. Awareness - The Key to Living in Balance, by Osho, is a strong and much needed book in today's stressful living conditions. I will highly recommend it to everyone. Buy it for yourself and gift it to the people you care about, especially those who may be experiencing a low tide in life.